Your Face Deserves High End this Holidays, TRY HourGlass! Whatever you do, please don’t get turned off by the words “high end” — especially when it comes to your pretty face, ladies. Something happened to me, recently inside a Sephora store. I met a woman with ebony-hued skin and a specular glow — so fantastic, that I thought, perhaps, she had stepped from the pages of a very modern fairytale. The makeup on the woman’s face was HourGlass cosmetics, and she was a representative from the company. After a few well placed phone calls to their public relations team, I received a gift package and began my journey to learn more about the products. 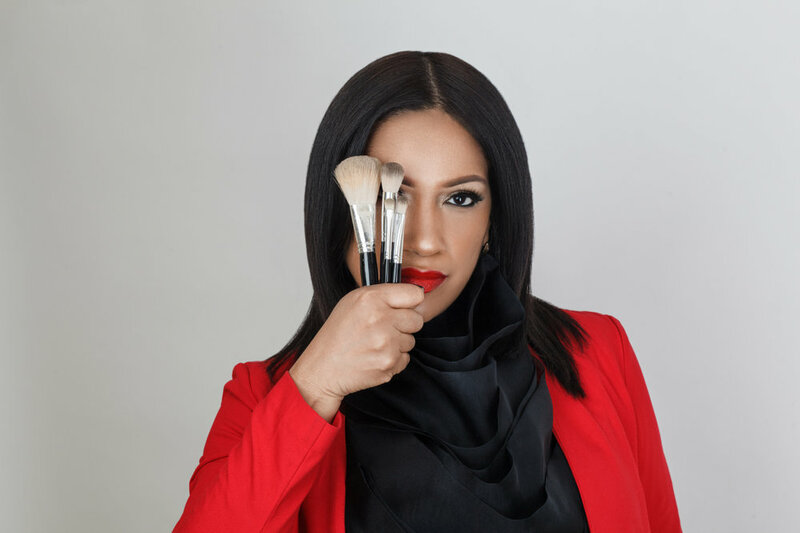 To assist me in this task, I enlisted professional makeup career, Daurisa Tessier, a “sister” with over 10 years experience as a professional makeup artist. Her work is featured in many notable publications and global ad-campaigns, including Vogue, Berta Bridal, MAC, Chanel, Nars, Victoria Secret, and much more. Here’s what make up artist Miss Daurisa Tessier had to share about using HourGlass. 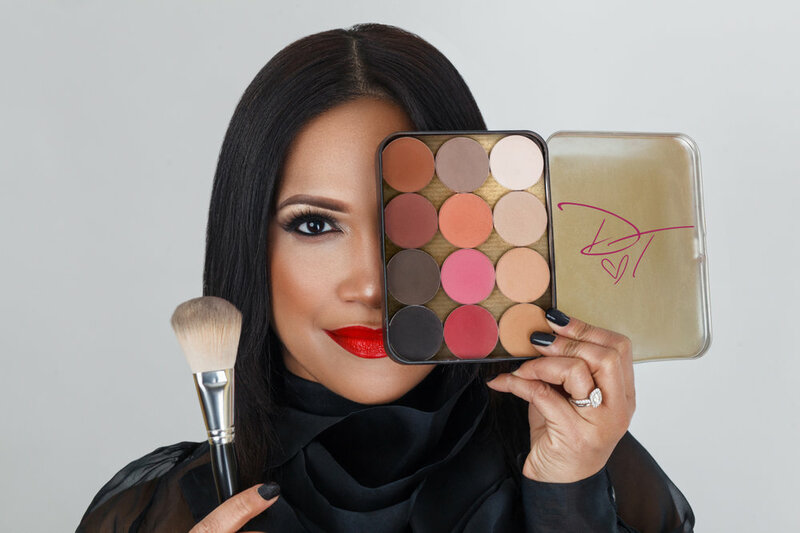 MyNewYorkEye: How can a woman of color match her skin to get a natural look with HOURGLASS? 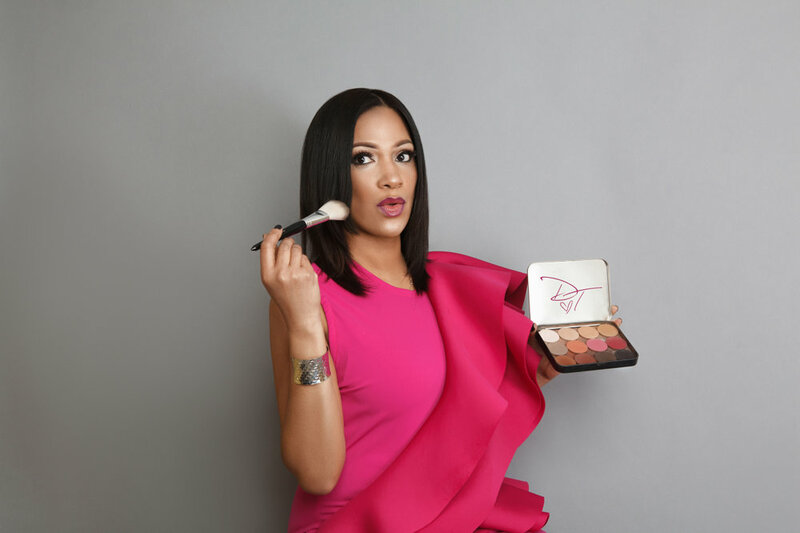 Daurisa Tessier : Hourglass foundation sticks are absolutely beautiful for women of color. With 26 beautiful shades, there is a color for every woman and ethnicity. Not only is the Hourglass stick a foundation, but the coverage conceals under eyes and any imperfections of the skin, leaving you with a beautiful finish that feels like it was set with powder. When I tried the foundation for myself, I must say I was very impressed with the coverage and how long the makeup lasted throughout the day. The benefits are that it is something you can carry in your purse or travel with because it is only .25 OZ. I used it with the Vanish seamless foundation brush, which made the foundation go on as if it was silk. I was never a fan of stick foundations but I must say I was impressed how the color I chose was perfect for my skin tone which was honey, and how effortlessly it was to put it on. Everyone wants skin that looks perfect, and Hourglass foundation sticks by far are the closest to getting a flawless application and beautiful skin. MNYE: How important is a primer for women of color? DT: Primer for a woman of color is the canvas before the art. let me explain: Here are so many benefits to using a primer the first one is that is blurs out imperfections in the face and minimizes pores in the skin before putting on the foundation. The other amazing reason for using primer is it helps with oil and it makes your makeup stay fresh and last all day. I definitely recommend a primer to all women of color. We all know the saying “black don’t crack” but we all know it can get some creases (smiles). One of the primers I recommend is by Hourglass, and it is the Veil Primer. Some of the benefits are that it smooths out the skin, its oil-free, and it makes the makeup last all day long. It helps with making pores, wrinkles and lines in the face look very minimal, and it even has SPF 15 to protect from the sun and last but not least its vegan. So yes ladies, before we paint our face, lets prime it first. MNYE: ourglass's Lip Color stays on long and keeps the lips moisturized. How does a woman add that extra sparkle for the holiday season? DT: Using Hourglass Femme rouge velvet creme lipstick is the way to go for the holidays. One of my favorite shades is Muse which is a beautiful coral color. The lipsticks are very creamy and are infused with vitamin E. To give it a more sparkly look for the holiday, I would add their Extreme Sheen High Shine lipgloss in the color reflect which will give the lips a nice glossy pout. MNYE: How can you get a Sparkle Holiday look? DT: When I think of a Holiday look I think of highlighting and contouring the face and glitter. Combining all of these wonderful Hourglass products and adding a touch of glitter on the lips and eyes gives off a sparkle to the face that is absolutely beautiful. Hourglass makes a beautiful highlighter and one of my favorites is the Ambience Strobe Lighting powder in Eurphoric. Brush this powder delicately on your forehead, down your nose, cheekbones, and browbone to give your skin a beautiful glow. A holiday looks also need lashes and of course a winged out eyeliner on the top lid in black.